The list of the refereed publications based on observations is given here as a csv file (updated on March 18, 2019). The list reflects all articles published before the end of 2018. If you find a missing publication please contact us. 371 papers based on LBT observations have been published in refereed journals as of the end of 2018. 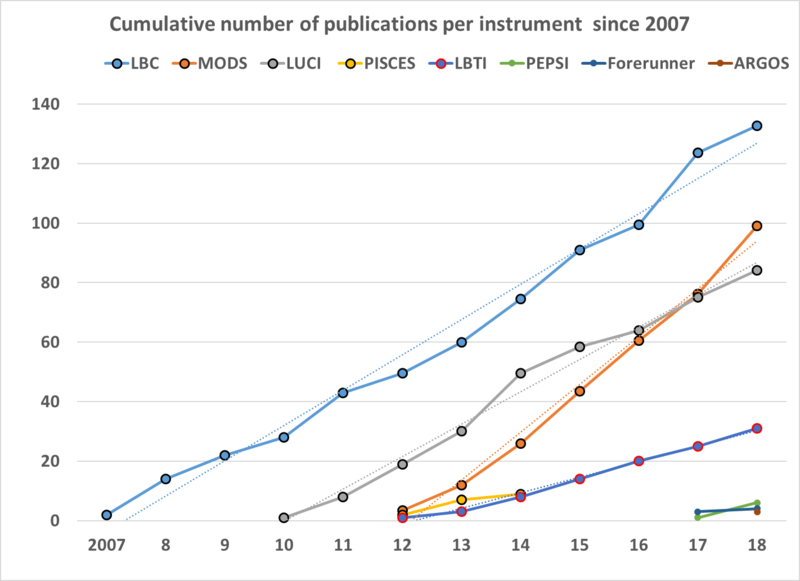 The evolution of the annual cumulative number of papers per instrument is given in the figure on the left. 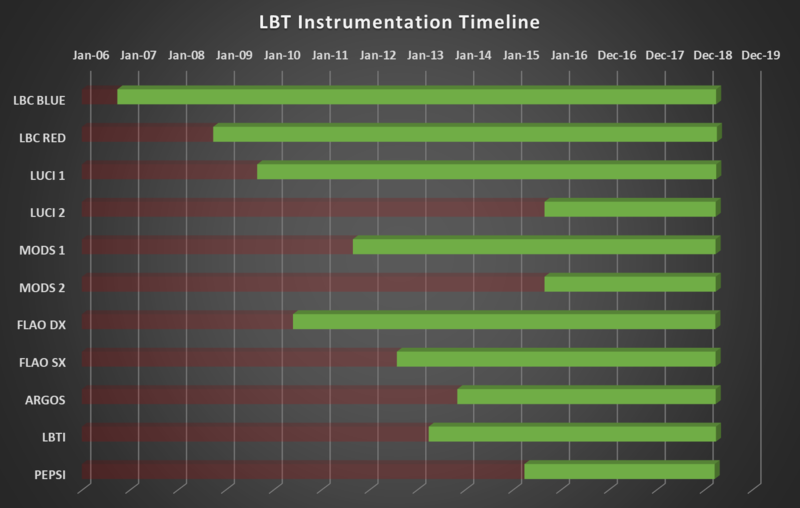 The figure on the right shows the availability of the instruments over time. All facility instruments (LBC, MODS and LUCI) have been used in binocular mode since early 2016.